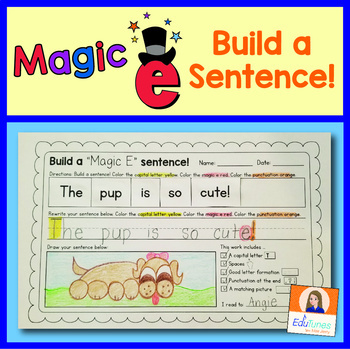 This "Build a Sentence" set gives children 40 opportunities to build magic e / CVCe sentences. 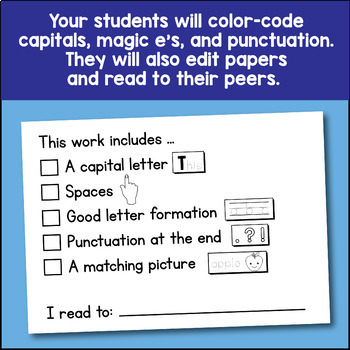 They'll also learn to color-code and edit their papers for proper conventions. Next, they'll illustrate sentences and read to peers. I've included 5 pages at the end of this set that include pictorial support. Please see the thumbnails and download the preview to see samples and suggestions for using the materials effectively. 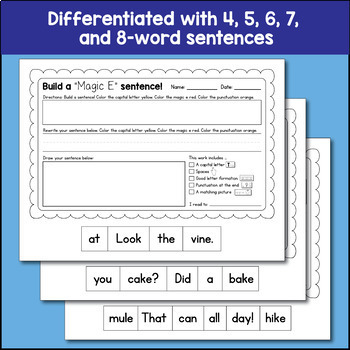 This set matches my CVCe Flashcard Activities set, available HERE. Please also click HERE for my "Magic E" music video. 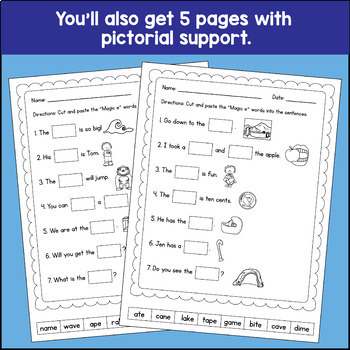 Finally, head HERE for my Phonics Time COMPLETE set, including 31 videos along with many additional materials to teach phonics to your students.